In its first week in the UK, When We Fall Asleep, Where Do We Go? racked up a combination of 48,000 sales, making the 17-year-old singer-songwriter the youngest ever female solo act in UK chart history to go in at number one. 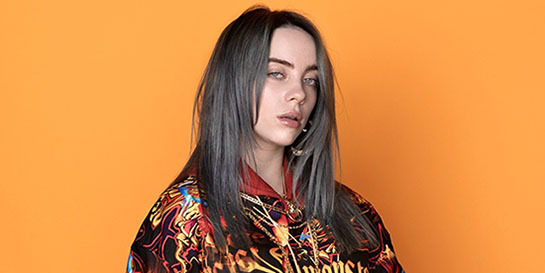 Billie has had the biggest debut from an international artist to top the chart since Lana Del Rey’s Born To Die in January 2012, achieving 17,749 physical sales, 5,916 vinyls and no fewer than 3,355 on cassette in its first week. She also had the third-largest streaming week for a woman in history as her fans streamed the 14 songs an incredible 194m times within the first seven days. On her home turf, Billie has been celebrating a number one on the Billboard 200 thanks to shifting 313,000 album units in just a week. Her US chart success continued with eight debuts in this week’s Hot 100 – taking her tally for 2019 to 24 songs charted. She has broken the record for the most simultaneously charted Hot 100 titles by a woman with her current tally of 14.